In the study of an era of purported mass migration such as Late Antiquity, one ought to verify to what extent people or objects actually moved from one place to another. One must also ascertain if this migration can be shown to have had a major impact on a given society, or whether it was simply a byproduct of a different society, be it in the center or out on the peripheral rim of the Roman Empire. The evidence discussed in this paper are Late Roman solidi, 24 carat gold coins, ideally meant to weigh 4.54 g each. These were struck by the Roman emperors in the urban centers of the Mediterranean but have been recovered in Scandinavia, the distant northern periphery of Europe. The solidi and their owners have moved across the entire European Continent precisely at the time when the Roman Empire went down in flames. The corpus of recorded solidus hoards is invaluable empirical evidence because a seriation of particular characteristics of the material allows for important conclusions about human movement and material exchange during Late Antiquity without recourse to undue racializiation, that is, the idea that it is important to match different types of objects or sets of behavior to specific human genetic profiles. Rather, the universal nature of minted Roman gold emphasizes the importance of monetary capital and state finances in the course of history, especially in the study of crumbling imperialist economies. The exploration of the underlying network of Late Roman solidi group in die-linked or mutilated clusters shows how parasitical networks of warlords, kleptocracies, could feed of the spoils in such systems by using the migratory patterns in a time of crisis even from the very distant periphery. Minna Hamrin (Ph.D., Art History, Åbo Akademy) will present her doctoral thesis Picturing Carnal Temptation and Sin in Italian post-Tridentine Imagery. This thesis analyses images of male saints defending their chastity against transgressive women. The studied images were produced in post-Tridentine Italy – a period when Catholic dogma, through Church reform, emphasised the superiority of the virginal state and the danger of carnal desire. The rule of mandatory celibacy for the clergy was one of the questions discussed during the Council of Trent, the chief movement of the Catholic Reformation (1545-1563). Critical voices regarding the Catholic Church’s lack of control and strictness towards the sexual misconducts repeatedly performed by their clergy were raised both within the Church and by their Protestant opponents. When the Catholics, unlike the Protestants, reaffirmed the rule of compulsory clerical celibacy, the essential importance of sexual abstinence was accentuated by confirming its connection to the true Christian doctrine. The thesis aims to examine, firstly, how the temptation episodes are communicated visually in order for them to function as a promotion for the reformed Catholic Church, and secondly, how the images reflect the current attitude towards gender and sexuality. The study's visual source material consists of paintings, drawings and engravings of temptation scenes from the lives of St. Anthony the Great, St. Francis of Assisi, St. Benedict of Nursia, St. Jerome, St. Philip Neri, St. Thomas of Aquinas and St. Eligius. The images are seen as cultural and religious expressions of their time and are studied in close connection with their textual sources, e.g. the hagiographies of the saints, and are approached through an iconographic reading. For critical perspectives and material information, the examination is further conducted with the support of fields outside art history; theology, gender studies and history. Maria H. Oen, forskare Marie Curie/ERC och tillträdande vice direktör vid SIR: The Danger of Writing: Strategies for Legitimizing Female Authorship in the Later Middle Ages. Birgitta of Sweden (d. 1373, Rome) and Catherine of Siena (d. 1380, Rome) represent two outstanding literary voices in the Trecento. The major literary collections that circulated under their names from the late fourteenth and early fifteenth centuries respectively dealt with the most pressing political questions of the time and contained explicit calls for spiritual and political reform. The works of Birgitta and Catherine were broadly disseminated in a time when women’s public(/published) voices were not only regarded with skepticism, but indeed prohibited by apostolic authority. Despite this situation, the number of surviving manuscripts, in Latin and in numerous vernaculars, bear testimony to the great success of their works. In the cases of both Birgitta and Catherine, the collection and diffusion of their literary corpuses was an intrinsic part of the campaigns for proving their sanctity that were led by key figures in their large groups of followers. The first manuscripts containing the edited and collected works of Birgitta and Catherine spread from scriptoria in Naples and Venice respectively, directly under the control of the leaders of their canonization campaigns, Alfonso of Jaén and Tommaso “Caffarini” da Siena. This paper will argue that Alfonso and Tommaso used illuminations, and in particular, the traditional visual genre of author portraits, to legitimize Birgitta’s and Catherine’s roles as female political authors and to shape the readers’ reception of the authority of their texts. The different visual strategies employed in the oldest codices stemming from these scriptoria will be presented and analyzed. The paper will also offer a discussion of the notions of authorship (auctor/auctoritas) as this is dealt with in text and in image in these Birgittine and Catherinian manuscripts. Modern students and scholars sometimes forget the Ara Pacis looked somewhat different in the year 1 than it does today. Despite his best efforts, Giuseppe Moretti, building upon the work of Eugen Petersen, was able to reconstruct only an approximation of the Ara Pacis, unveiled to the public on 30 January 9 BC. Missing material made it impossible to fill in certain gaps, and in a few places, Moretti deliberately or accidentally hid the loss of characters with an illusion of completion. The combination of the missing pieces and the slightly flawed reconstruction have misled scholars, whose interpretations, in turn, deviated from the Roman vision of a New Golden Age, especially if they imagined they were looking at a perfect reconstruction of a great piece of imperial propaganda. The result resembles a performance of a bad translation of a Shakespeare play. The elegance of a great work of art is partly lost. However, it is possible to correct some of these approximations and thereby get closer to the Augustan (and Senatorial) vision for the future, even though that future never took place as planned, for the death of Agrippa upended the stability of the regime and set in motion more than one crisis. Hampus Olsson (PhD Candidate, Dept. 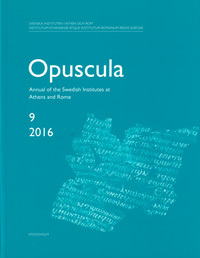 of Archaeology and Ancient History, Lund University) presents his PhD project: The Ager Bleranus 450-50 BC – Cultural change in a South Etruscan town and hinterland. The Ager Bleranus was a natural border area between the territories of the great Etruscan cities of Tarquinii and Caere. After Caere’s inclusion in the Roman sphere of interest, following the Gallic sack of Rome in the early 4th century BC, the Ager Bleranus seems to have come under the influence of Tarquinii, thus making it a borderland between this city and Rome and ultimately between Rome and the free South Etruria. This very character as a buffer zone is in many ways what makes the area interesting. An area where cultures both clash and meet, makes a very strong case study for the ever ongoing discussion on Romanisation and Hellenisation. The first half of the 4th century BC marks Rome’s beginning influence in South Etruria with the fall of Veii in 396 BC. The South Etruria Survey project, run by the British School at Rome in the 1950’s and 1960’s has shown a significant change in the settlement patterns of the Veii territory during the later 4th century. Rural settlements start to increase and earlier urban settlements loose in importance while previously less important centres gain. This development has traditionally been accredited to the Roman presence in the area. A similar development can also be seen in the Ager Bleranus, the difference being that this area became a part of the Roman sphere of interest much later, in the early 3rd century BC. Could there be a Romanisation without the direct presence of Rome? Or, does this development have nothing to do with Rome at all? The material can be divided into three groups consisting of survey material, epigraphic material and ancient authors. Of these, the main material comes from the field survey results of S. Quilici Gigli (1976) and P. Hemphill (2000), which itself can be divided into three subgroups: settlements, tombs and road networks. The scope of the study is to provide a synchronised chronology for the survey material and to compile the three material groups in order to give a synthesis, a historical narrative of the cultural and social development in the Ager Bleranus from the late 5th to the 1st century BC. Eric von Roland föddes 1675 som borgarson till Roland Eliasson i Stockholm. Han begav sig i sin ungdom till Uppsala, där han bedrev akademiska studier. Redan som 19-åring följde han med Uppsalaprofessorerna Johan Bilberg och Anders Spole till norra Sverige för att göra astronomiska beräkningar om midnattssolen. 1697 försvarade han en avhandling om Kina: De magno Sinarum imperio. Därefter påbörjade von Roland en bildningsresa över mellersta och västra delen av Europa. Bland de orter som han besökte kan nämnas Amsterdam, London, Paris, Wien, Venedig, Rom, Florens, Lyon, Stralsund. Det får även betraktas som ovanligt att en borgarson från Sverige gjorde denna typ av rundresa i Europa. Under denna resa besöktes på samma sätt flera städer, ända ner till Neapel. Vid hemkomsten i slutet av 1700 vidtog en lång ämbetsmannakarriär i statens tjänst för Eric von Rolands del och den sträckte sig fram till Karl XII:s död. Han adlades året därpå, 1719. Under sina resor förde von Roland fortlöpande dagbok på franska. Handskriften X370 på Carolina Rediviva i Uppsala innehåller hela texten om cirka 200 blad. Ur ett svenskt perspektiv är texten som sådan särdeles viktig, eftersom den speglar en svensks upplevelser av Sverige och Europa framför allt under två kungars regeringstid, Karl XI och Karl XII. Även ur fransk synpunkt är texten viktig, då den är ett vittnesmål från franskans storhetstid. Målet med en grand tour var ofta Italien och von Roland beskriver ingående de olika städerna där. En stor del av dagboken behandlar därför just Italien. Jag kommer därför att koncentrera mig på denna del och på von Rolands upplevelser av Italien och hans blandade känslor för detta land. Early modern Rome was as city with a dualistic nature, which seems to have permeated many aspects of Roman society around 1600 – the stern Counter-Reformation church on the one hand, and the lavish courts on the other; the moralising religious attitude versus the seductive underworld; the sacred and religious versus the profane and political; the importance of romanitas – an ancient Roman lineage – in contrast to a transnational character. In other words, it was a city where the controlled was constantly challenged by the chaotic. Such a fragmented context creates a number of interesting dimensions when studying clothing as social markers. In fact, social identity was regarded as much more important than the individual in Rome by the turn of the century 1600. The social hierarchy was reflected in hierarchies of appearance, in which clothes constructed the social body with the purpose of defining status and social rank. However, they could also create a desired identity. Clothes also functioned as an alternative currency. Garments were repaired and remade, circulated as perquisites, wages, gifts or bequests, or were sold or pawned as required. Investment in cloth and clothing therefore served as a type of savings. In fact, clothing as a means of payment could sometimes be more valuable than money. Yet, this constant circulation of clothes could at times also create confusion within the hierarchies of appearance. By acquiring clothes otherwise out of reach of one’s socio-economic range, the wearers were enabled to ‘appear what they would be’ rather than as they were. Thus, for my thesis, I am analysing to what extent and by which means clothing was used by the members of the different socio-economic classes in Rome as a token to accentuate – or disguise – their social standing. Angela Maria La Delfa (Ph.D. Pontifical Gregorian University, Rome): The Ghent Altarpiece and the Revelations of Saint Bridget of Sweden. The talk illustrates the importance of spiritual literature in the renewal of the iconography of late medieval and early Renaissance Flemish Art, taking as a point of departure the Revelations of St. Bridget of Sweden. My analysis starts from the renowned polyptych showing the Adoration of the Mystic Lamb preserved in Saint Bavo cathedral, Ghent, Belgium, the largest and most ambitious of Flemish painting. Realized by the brothers Hubert and Jan van Eyck in the years between 1424 and 1432, the Ghent Altarpiece is the “founding” work of art of a whole artistic tradition. I intend to demonstrate through a draft philological analysis that Bridget’s text is the main source of inspiration of the iconography of the altarpiece, and this influence was mediated by Heymericus de Campo, author of the Dyalogus Super Revelacionibus Beate Birgitte, and by Olivier de Langhe. This discovery provides a new interpretation of the painting and clarifies some unresolved issues in the scholarly literature. Given the exceptional importance of the work of the brothers van Eyck, the fact that a few years after the canonization of Bridget, the altarpiece contained very specific references to the Revelationssheds new light on the religious, social, political and cultural context of Flanders at that time. 13 Mars, kl. 17.00, NB Onsdag! One of Queen Christina’s first actions after she had settled down in Rome in 1656 was to appoint Giacomo Carissimi as her maestro di cappella del concerto di camera. Her path to this decision originated several years earlier. It seems to have started with curiosity, from having read about the excellence of Carissimi’s music in Athanasius Kircher’s Musurgia universalis, but not being able to hear it at her court in Stockholm. It continued with the recruitment of an ensemble of about twenty Italian singers and musicians to Sweden in 1652, predominantly from Rome. Now, Christina was finally able to hear music by Carissimi, performed by musicians that had been in close contact with the composer and had direct access to his music. An episode from Münster on her journey to Rome suggests that her encounter with Carissimi’s music had made a deep impact. The anecdote in question has been dismissed as nonsense and propaganda. 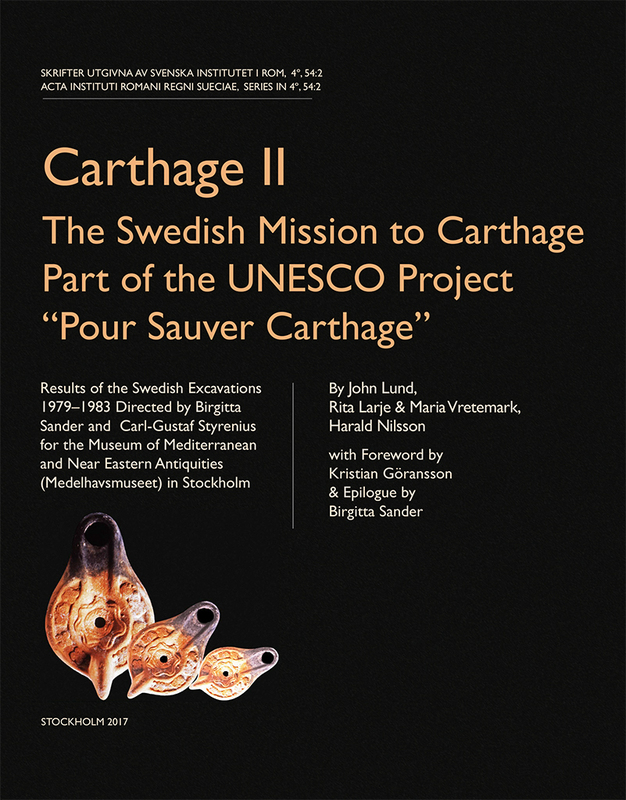 The musical connection proves that it is most likely accurate, because at the occasion Christina specifically asked to hear two Carissimi pieces that her Italian musicians had brought to Sweden, and that are still preserved in Uppsala. Her choice of repertoire also gives some room for speculations about which traits in Carissimi’s music that could possibly have captivated her. In conclusion, this paper will argue that Christina’s early involvement with Italian music, and in particular church music from Rome, should be seen in the context of her astonishing decision to abdicate from the Swedish throne and convert to Catholicism, and was part of a deliberate self-transformation, from a ruling Lutheran regent to a Catholic Queen without a land. Mattia Biffis (MA London, 2007; PhD Venice, 2013; postdoctoral research fellow at the University of Oslo – The Norwegian Institute in Rome): Things That Move: The Dynamics of Painting Transportation in Premodern Europe. Art history has traditionally focused its attention on the two extreme poles in the life of an object: its inchoative or creative moment, when the idea takes its material form in the workshop under the lead or supervision of the artist, and its terminal instantiation, when the object is installed at its final destination (either a public or private space) and brought to its intended fruition. Yet, within the limits of these two domains, a substantial part of an object’s trajectory remains virtually un-acknowledged, if not completely ignored: What does it happen to an art object after its maker has released it? What kind of impediments does it encounter while moving toward its intended destination? How does an object behave in those interstitial spaces through which it moves along? How do they influence its final configuration, in terms of both material form and iconographic definition? Focusing on some key case studies dating back to the early modern period, this paper aims at discussing the state of transit and the condition of liminality and in-betweenness as central to the configuration of an artwork. Renaissance artists were extremely aware of the risk – and, simultaneously, of the potential success – of moving their works in that grey area between their workshop and the intended destination, a liminal space where objects were subject to spatial and political negotiations, technical and mechanical frictions, and human volition. The cases of Titian and Rubens, among many others, fittingly attest to the role of distance and transportation in the determination of an artwork’s final configuration and appearance. My analysis will probe how the spatial intervals between creation and fruition – a truly exemplary liminal space – played a central role in defining the objects in their design and material shape, and should be therefore incorporated in the art historical analysis as precious indexical signs in the life of an object. Mattia Biffis (MA London, 2007; PhD Venice, 2013) is a postdoctoral research fellow at the University of Oslo – Norwegian Institute in Rome. His research focuses on issues of geography and materiality, and is mostly concerned with ideas of physical displacement and mobility of works of art and forms of knowledge in Early Modern period. Danilo Marco Campanaro (PhD candidate in Classical Archaeology and Ancient History, Department of Archaeology and Ancient History, Lund University): Light In/On Context. Illumination matters: Telling Things of the Past in a New Light. Interpreting the social complexity of the Roman house calls for a careful assessment of the existing evidence. In this view, recent works in the field have proposed an alternation of approaches centered, from time to time, on a specific typology of sources (architecture and décor, ancient texts, material evidence of the excavated houses), each in turn recursively deemed more adequate for the purpose or more fruitful and less biased. This scholarly clash of positions and relevant criticisms has consequently bequeathed an impassable picture. 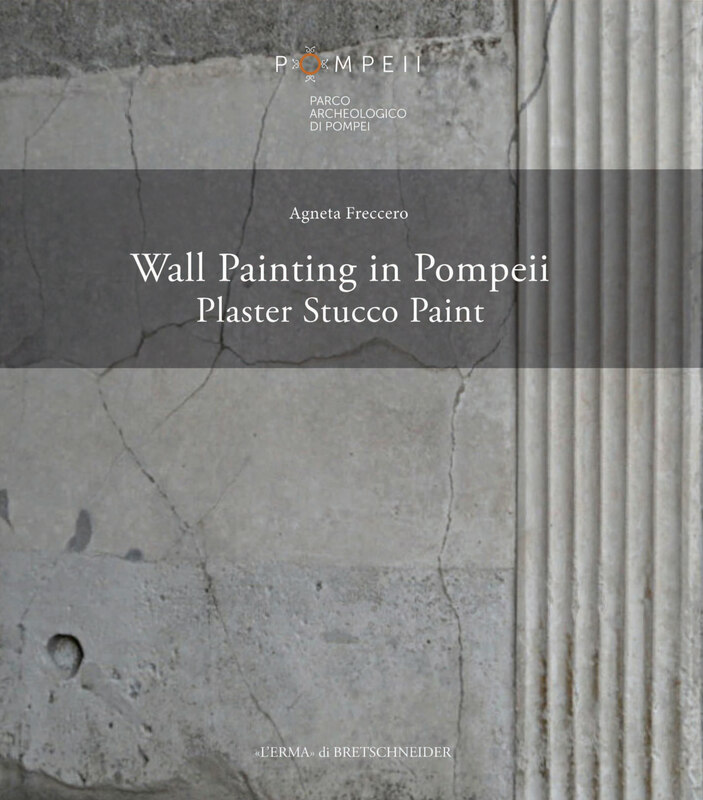 My research, which focuses on the case study of the House of the Greek Epigrams in the northern part of the Insula V1 in Pompeii, suggests a further level of comprehension by combining the cited classes of sources with digitally driven simulations and analyses in support of the archaeological interpretation. Building on the assumption of light being a powerful social agent, I investigate, by means of historically based and physically accurate lighting simulation and analyses, the extant entanglements between spatial and social patterns of circulation, in order to infer novel insights about the social and spatial behavior in the Roman house.